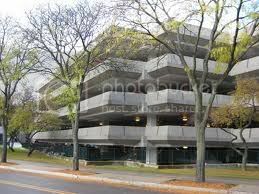 Personal Protection Tip: Avoid using parking structures to park your vehicle. These facilities are breeding places for crime. They are usually poorly illuminated and provide numerous places for bad guys to hide. Instead, motorists should strongly consider parking their vehicles in an open surface lot in a well lit area close to their destination. Furthermore, an even better option would be the usage of valet parking services, if available.